Soylent, the meal replacement drink that's been called both "the future of food" in breathless headlines and "the end of food" by the New Yorker, can't be shipped to Canadian consumers anymore due to a failure to meet federal food regulations. Soylent, the meal replacement drink that's been called both "the future of food" in breathless headlines and "the end of food" by the New Yorker, can no longer be sold in Canada due to a failure to meet federal food regulations. The Canadian Food Inspection Agency (CFIA) says it advised Soylent earlier this month that the company's drinks do not meet the compositional requirements for meal replacement products, and that imports would have to be halted unless regulations were met. But the agency is not recalling Soylent products as there's no health risk to consumers. In a statement posted on Soylent's website, CEO Rob Rhinehart says the company intends to comply with CFIA regulations, even though the company feels "strongly that these requirements do not reflect the current understanding of human nutritional needs." He goes on to say that he doesn't know how long it will take for Soylent to adapt to CFIA's requirements, and that the company can't yet estimate when its products will be available to Canadians. The company did not provide a spokesperson to comment, but said in a statement that it is "working hard to resolve the categorization issue." 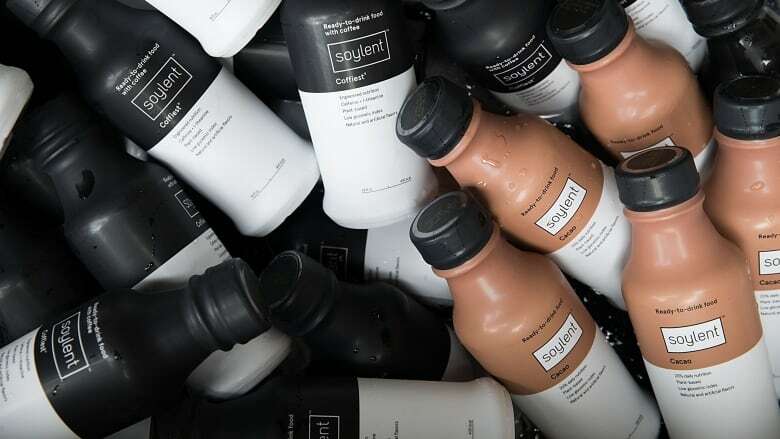 Soylent, which offers meal replacement drinks both in bottles and in powder form, started when Rhinehart was working in Silicon Valley in 2013. The product is built around the idea that home cooking is unnecessarily time-consuming for busy people in a work-obsessed culture, and is often more expensive and less healthy than it could be. "It turns a full meal into a one-step process. It makes things a lot less complicated. And when you're busy, it takes eating off your plate," reads Soylent's website. The product — which is designed to deliver a healthy ratio of carbohydrates, fat and protein — is sold less as a drink and more as a lifestyle. The company's branding and packaging similarly embrace efficiency over esthetics with stark labelling. Soylent offers users a subscription service, and bottles purchased on its website aren't offered in units smaller than 12 (each bottle is $3.75 Cdn for a 400-calorie portion). Soylent is not available in Canadian stores. The company recommends that consumers "ease into" incorporating Soylent into their diet and start with a single drink per week. "This will allow your body to adjust to this new food source. Once you are acclimated to Soylent, you can customize your intake to your liking," the company's website reads. Soylent launched with a successful crowdfunding campaign in 2013, raising over $700,000 US, and the brand grew quickly. The company has been selling in Canada since 2015. This isn't Soylent's first run-in with food inspection agencies. Last October, parent company Rosa Foods recalled Soylent's utilitarian-sounding "food bars" along with an earlier version of its food powder after customers complained about suffering gastrointestinal illness. "Fitting with our desire to err on the side of caution, we are reformulating Bar and Powder 1.6 to remove the likely ingredients. Turnaround should be fairly quick," Soylent posted on its website at the time. The food bar has not yet returned to Soylent's roster of products. Soylent's website specifies that the company wasn't named after the food-replacement wafers that famously turned out to be made of human flesh in the 1973 movie Soylent Green, but for its tamer counterpoint in the book that inspired the movie. In the 1966 science fiction novel Make Room! Make Room!, soylent is a harmless combination of soy and lentils. Steve Euser, a Toronto-based landscape architect, says he's been a regular Soylent drinker since the product was made available in Canada. After his father suffered a spinal injury in the spring of 2015, the bulk of the workload at the design firm they run together fell to him. "I was working very, very long hours, and eating healthy — actually, just eating — was a problem," Euser says. Relying on Soylent for breakfast and lunch saved time and kept him from eating junk food, he says. Once his father returned to health and his work life calmed, he cut down his intake: these days, he says, he only replaces one meal a day with Soylent. "It's frustrating," Euser says of the CFIA decision to halt Soylent sales. "I can't buy a product that I want to buy, that is available elsewhere, that is perfectly safe."